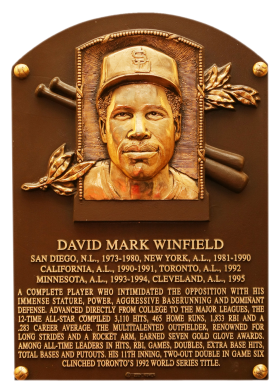 Comments: Dave Winfield is my favorite ballplayer and I chose the 1986 Woolworth issue as the portrait card for my collection when I won a PSA 10 on eBay in April, 2003. 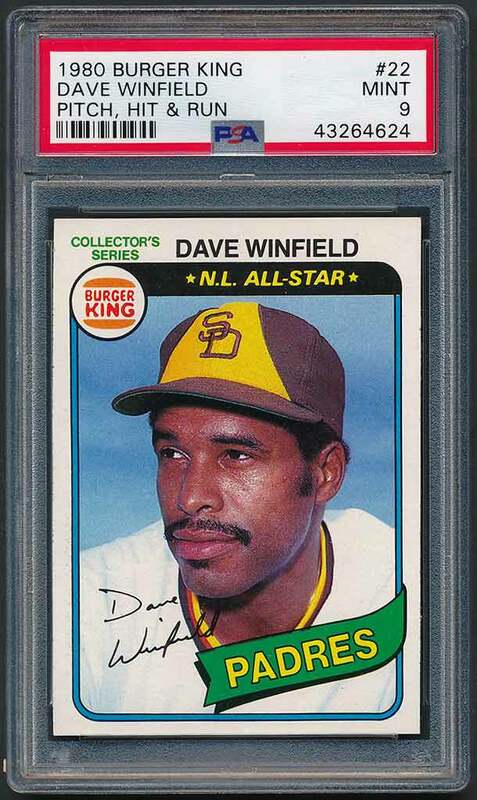 In November, 2008 I swapped it out for a PSA 7 1980 Burger King card with another eBay win. I was able to upgrade to this beautiful SGC 96 example from seller Just Collect Inc. It showed up in one of my eBay searches in June, 2009 and my bid was enough to win (total - $35.50). I have since purchased several more raw copies including a group of twenty (20) in May, 2011 for $6.81 including S&H on eBay. Unfortunately, none of them have been worthy of submission to PSA. I'm still holding out hope in finding a GEM MT copy someday. 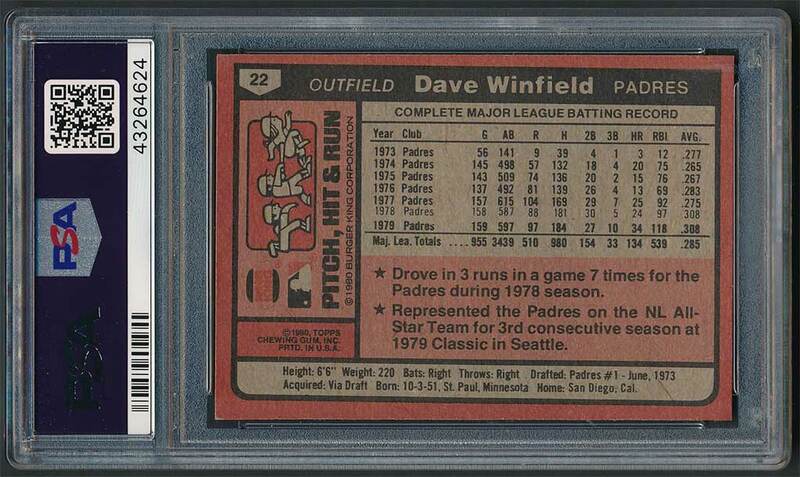 Description: In 1980, Burger King issued, in conjunction with its "Pitch, Hit & Run" promotion, a Topps-produced set featuring pitchers (card #s 1-11), hitters (#s 12-22) and base stealers (#s 23-33). 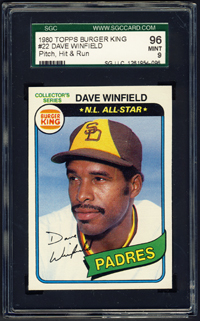 Fronts, which carry the Burger King logo, are identical in design to the regular 1980 Topps set except for numbers 1, 4, 5, 7, 9, 10, 16, 17, 18, 22, 23, 27, 28, 29 and 30, which feature different poses. Cards measure 2-1/2" X 3-1/2" in size. 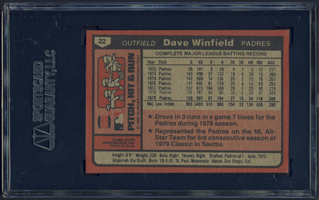 An unnumbered checklist was included with the set.